First Duplex - Couple questions! ForumsArrowLandlord Forums & Rental Property QuestionsArrowFirst Duplex - Couple questions! Hey ladies and gents. Let me tell you first, I've been dreaming of taking this first step for entirely too long. We finally dove in and made the purchase. And although we haven't close yet, we feel we're getting this place for a steal. My questions are as such - If I'm purchasing this on an FHA, but want to purchase another property conventionally, before I can refi, would that be possible? My plan is to have another down payment saved up within the next 6-8 months. And then, once I refi, grab another FHA loan and ultimately end with 3 properties this year. In the interest of disclosure, I'm staying sub- 100k in these deals. This first one is 75k overall... Am I reaching too far? Am I missing a vital piece of the puzzle? Or are my plans on track? Question 2 - I've done the numbers and I'm wondering if I'm missing anything? Typical closing costs, etc. 10% vacancy (long term tenants) $2,000 a year for maintenance. $900 insurance, $2800 taxes.. Both actual numbers. What am I missing? The numbers seem too high. Or is this just a really good deal? @Krys L Burke - First off, congrats on doing your first deal! Yes you can purchase another property to be used as an investment property with a conventional loan if you have an FHA loan on your primary residence. But, make sure you don't jump out of your property with the FHA loan till your occupancy requirements are satisfied. -you will need to make sure you have enough reserves for each property. Traditional lenders will want to see 6 months PITI for each property. -you will want to make sure you satisfy any occupancy requirements with loans if you are saying you will make the place your primary residence. -make sure you have enough income to qualify. 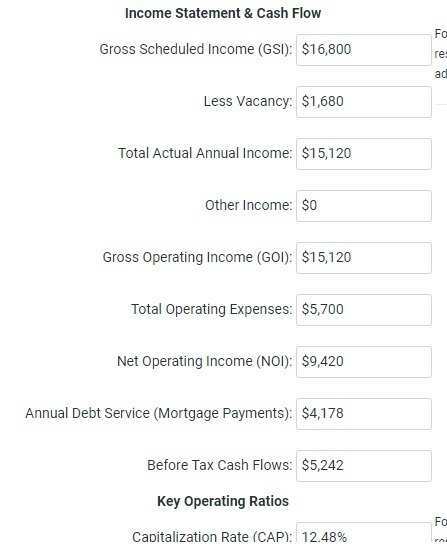 If you try to do three deals in 2018, none of the cashflow will show on your tax returns, some underwriters get picky about this and may not let you use the rental income as qualifying income because 1) the income doesn't show on the property and/or 2) you don't have 2 years of experience as a landlord. Sounds like you have a plan in place that is doable. Congrats on going under contract on your first deal. Good luck with your due diligence! @Andrew Kerr That's exactly what I was skeptical of. Since I don't have a proven track record, I may be getting ahead of myself as far as a lender is concerned. That puts a damper on things, initially, but it can be worked around. Thanks for the post and knowledge, man!